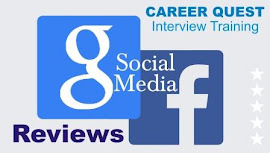 "I have been fortunate in getting the intelligent guidance by Sanjeev Kabeer sir. His inspiring and positive attitude helped me to harness the fruit of success with improvement in my performance with 208 marks.............Thanks sir!" - Deep Shikha, IFoS AIR 41. 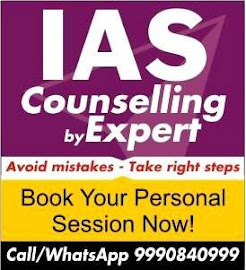 - Combination of individual &amp; group classes for better understanding. We are happy and proud to announce that 27 candidates from Career Quest got finally selected in Indian Forest Service 2015. 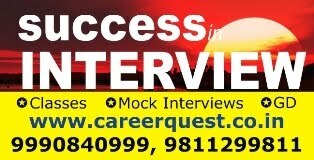 These candidates enrolled with us for regular classes or mock interview sessions under Mr. Sanjeev Kabeer. Career Quest is thankful to all the students who put their trust in us! Congratulations Toppers! 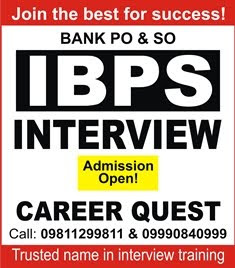 Most trusted, dedicated and renowned coaching for Interview since 2009.